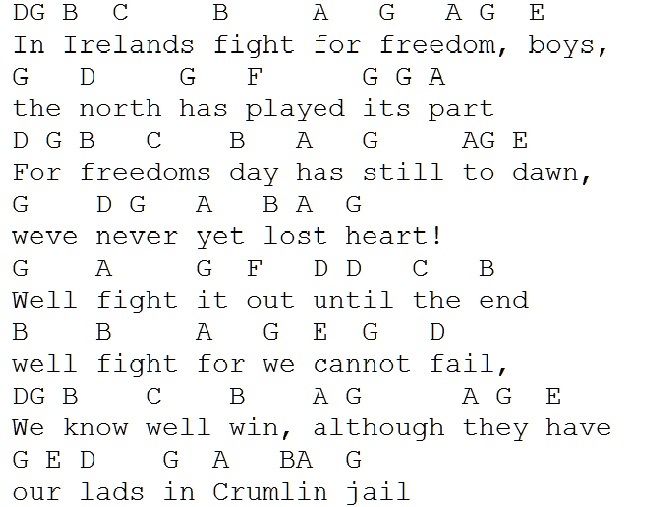 Rebel Tunes For Tin Whistle, here two songs that use the same tune. 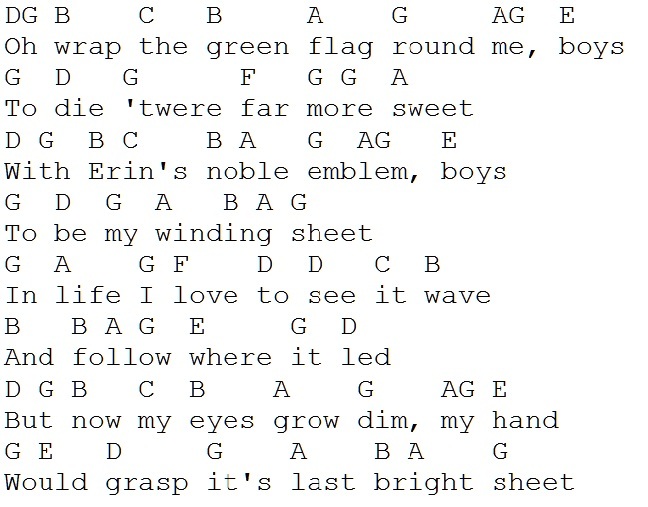 The first is Wrap The Green Flag by J.K. O'Reilly which was written before Ireland's Fight For Freedom. This tune is usually played at Republican Funerals by a lone piper, in fact it was played at the funeral of Bobby Sands. They are easy to play, you just keep repeating it over and over. Watch for the high D' Note in the 5th line of each tune. The other song is Brave Tom Williams.